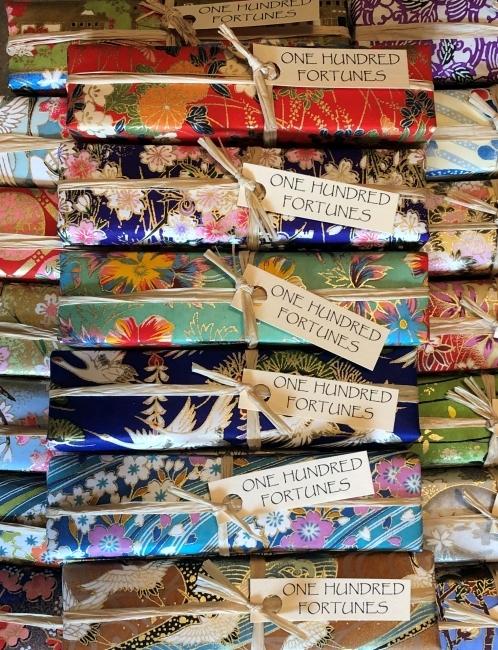 These beautifully wrapped packages contain 100 Fortunes: useful, smart and sometimes witty proverbs and pith sayings from throughout time and around the world. 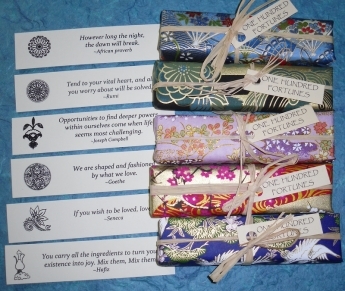 Each is a blessing and a bit of wisdom for living a deep, wide, rich and contented life. 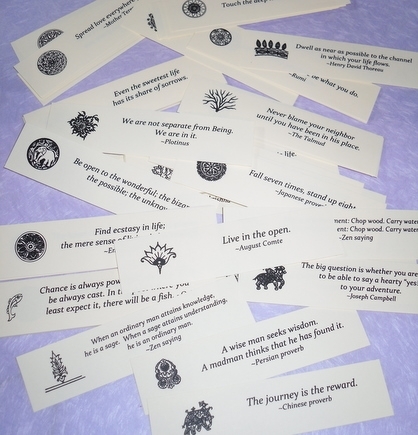 Perfect for party favors, office gifts, conversation starters or personal reflection, these fortunes will bring you wisdom to draw from throughout your many days.